What are the benefits of Elastic Resistence Training when it comes to building strength? Elastic resistence bands come in many forms and are used for a wide variety of exercise techniques. Many people think of weights and weight machines when we talk about strength training in Abu Dhabi, Dubai & Sharjah but there are other training methods which can help you increase strength in your arms, legs, back and other areas of your body. Elastic Resistence Training is a good example of alternative training methods. Elastic Resistance Training (elastic bands) is a training method that might be confusing to some people in the UAE. Can you describe what this training method is and the equipment used? ERT or elasticated bands are an effective and extremely convenient method of training. ERT training can easily be incorporated into your training largely due to their versatility, portability and ease of use. If you’re looking to increase strength, rehab injuries or correct movement, muscular and posture deficiencies, these crafty tools can provide the answer. Bands come in a variety of sizes, lengths and resistances. The most common type of bands include tube bands with handles, loop bands, and therapy based bands. 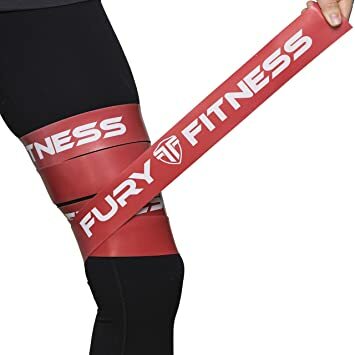 Although less common, heavy duty training bands are also available for those looking to make serious increases in strength. With so many choices it’s easy to get confused as to what bands to use. Fear not! We’ll focus on the most user-friendly and easily available bands here in the UAE. This includes the tube bands with handles and loop bands. With reference to strength gains, these bands can hit every muscle in the body. There are countless exercises you can perform to target the areas you wish. This includes trusty favourites such as the back, glutes and abs. Bands exhibit a gradual increase in resistance the further you stretch them, therefore providing more controlled tension in your muscles. This is great for a number of reasons with the most notable being its particularly safe. 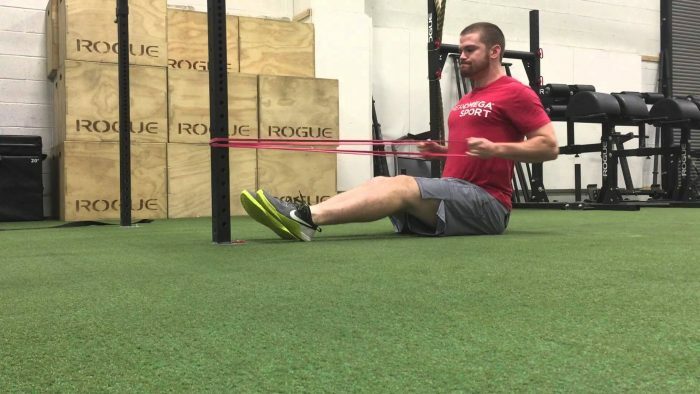 In short, bands allow you to gain strength but with great control and low risk of injury. That’s a winner in my eyes! 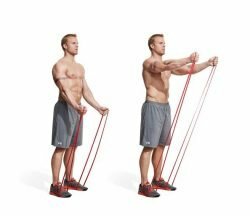 Are Elastic Resistance Bands similar to TRX training? Elastic Resistance Bands and the TRX suspension trainer in the UAE are two different methods of training. Bands themselves provide you with the necessary resistance, whereas the TRX suspension trainer requires you to use your bodyweight as resistance. The TRX Rip Trainer is somewhat similar to Resistance Bands as it involves a resisted band. The Rip Trainer tends to lend itself more to those looking to develop explosive rotational and throwing strength and power. In essence, it’s generally more geared towards those looking to improve their sporting performance. The three methods of training listed above are fantastic means to incorporate into your training as they all provide variety, convenience, portability, fun and above all else, results. What major muscle groups does Elastic Resistance Training work on? The beauty of Elastic Resistance Training is that they work all major muscle groups including the quads, hamstrings, glutes, back, cheat, shoulders and everyone’s favourite, core. How does Elastic Resistance Training compare to free weights or strength training machines that are often found in a gym environment and are there any benefits of one method over the other? ERT, free weights and strength training machines are tools used to reach your specific health and fitness goals in Abu Dhabi. To suggest one is more beneficial than another depends on the individual using them. Most would probably argue that free weights offer the biggest benefits as their incredibly versatile, the amount of weight is easy to adjust allowing progression and regression, plus the extra stability required to perform most exercises is higher than most. This stability condition means you will most likely engage more muscle leading to better overall gains. One of these gains is the transfer it will have when you perform everyday tasks such as picking things up off the floor or reaching overhead. Machines often get a bad reputation as being not as effective as free weights due to them not requiring as much stability and in some instances forcing the body to move in unnatural ways. However, I believe that many individuals can hugely benefit from them particularly beginners and those with less confidence when training. Machines are easier to use meaning a lower learning curve plus they will cause a good training response such as increased strength and muscle. Finally with regards to ERT, much like free weights these offer good stability and versatility benefits. There are a huge number of exercises you can perform and the resistance can be modified if you have different tension per band. Moreover, with particular exercises such as rowing, you can position your body either closer or further away from the band to increase or decrease resistance. With all this being said, the greatest advantage of ERT is the ease at which you can start training with them pretty much anywhere and anytime. I regularly use them while training some of my clients in Abu Dhabi at home or outside at parks/beaches particularly during warm-ups. I have found they are a great addition for everyone regardless of their goals as it compliments everything nicely. Does Elastic Resistance Training require a certain amount of strength to start with or are the bands progressively more difficult? Beginners and those less experienced can start working with bands straight away as most on the market have very light resistance. Once you have become more accustomed to this type of training you can purchase others which have higher tension. As a personal trainer in Abu Dhabi who specialises in strength training what tips can you provide to people who are interested in using Elastic Resistance Bands as part of their fitness regime? Purchase light resistance bands at the beginning to familiarize yourself with this form of training. If more comfortable, practice exercises while by yourself at home. You can also watch many YouTube videos, which will demonstrate exercises for you. Moreover, you can contact me from my personal trainer profile page (link below) and I’ll arrange a consultation. After you become more familiar and content with the bands, look to add some new ones with greater resistance. Enjoy the bands versatility and makes great gains either at home, the office, the park or the gym itself.